Shopping cart abandonment is like a plague with 68% of death rate. According to Baymard Institute research, that’s the percent of customers leaving your website with carts full without completing the transaction. Just like tripping over right before the marathon’s finish line, seeing your customers abandoning their carts one click from checkout is… painful to say at least. But there's no way we’re going to leave it like that. We’ve already discussed the motives and reasons of shopping cart abandonment, talked about the ways to reduce its rates and even dug into cultural aspect of the matter. Now, it’s time to review a few ready-made tools & plugins that could help you to reduce abandonment rate and generate that nearly lost revenue. WooCommerce, a platform for 24.6% of all online stores, has an abundance of plugins and services able to improve your chances of closing the deal. 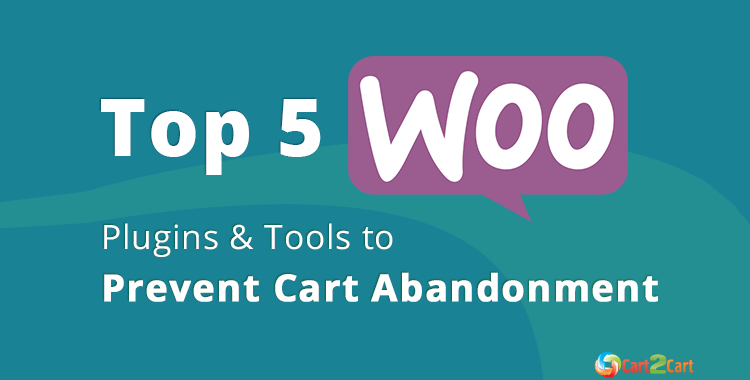 So, if you're interested in getting back some of those lost sales, enjoy our review of top 5 WooCommerce tools to recover and prevent cart abandonment. One of the most effective tactics of recovering sales that would otherwise be lost is sending your unfaithful customers follow up emails. Abandoned Cart Pro from Tyche Softwares is a perfect plugin for doing so, allowing to create automatic & well-timed email reminders. As long as your customer has entered their email address at some point, and then leaves the store with items in their cart before completing a checkout, the plugin will know. And make them get back. The emails sent to your visitors can contain the products that were abandoned, as well as a link directly to the checkout page so they can complete the sale quickly. You can also include a discount coupon, as an incentive to return to your store. The plugin works off-the-shelf and goes with three customizable email templates, automated coupon generator, possibility to capture abandoned guest carts and a robust reporting system on its performance. While free version with limited functionality is available, one year of license and support for PRO version applicable on a single store will cost you as much as $119. Sticky is a simple yet effective tool able to prevent potential customers from leaving your store before completing the purchase. Even though it is more a service than a plugin, you’ll like it regardlessly. 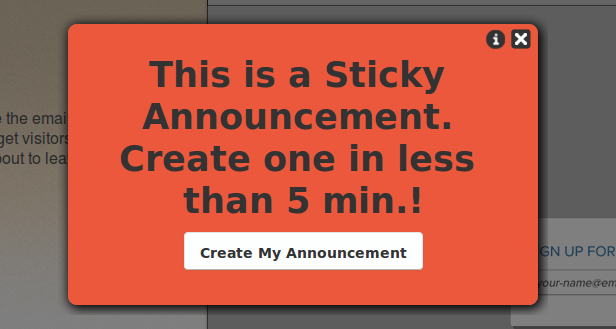 Sticky Ecommerce Targeted Offer can be used for various goals, e.g. asking to join your mailing list, take part in a customer survey, informing on an important matter, or encouraging to complete the order. It works in a background and keeps a constant track of the mouse movement of your website visitors. Whenever it sees they’re about to leave your site with items added to cart, it displays a popup with a discount, as an incentive to fulfill the checkout. According to its official website, such tactic can (and will) reduce the shopping cart abandonment rate by 15%. The popups are highly customizable and can be adjusted to all of your needs, so they won’t trigger when it’s not necessary. There is a free plan which will show the offer 500 times. Afterward, you will need to upgrade to one of the paid monthly plans to keep it functioning. Unlike other plugins and tools in this list, SessionCam will leave the burden of recovering sales on you. Instead, it’ll provide you with all the data needed to reveal the bottlenecks of your checkout process that keep making your customers leave empty-handed. 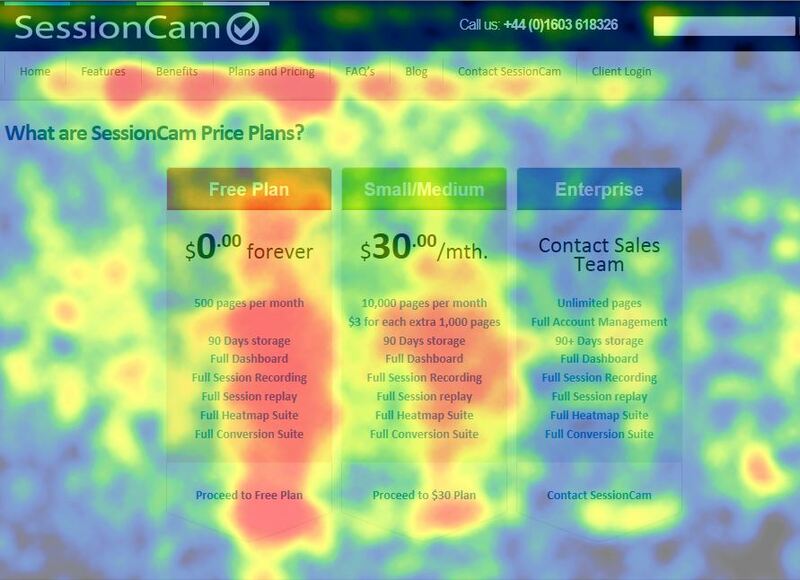 SessionCam includes features for recording customer journey in real-time, replaying them, analyzing recorded activity and generating behavioural heat maps for mouse movement and clicks. It can also be integrated with Google Analytics or CMS for even fuller insights on understanding the conversion funnel, as well as how to tackle cart abandonment. SessionCam works as a SaaS with a monthly subscription, but can be easily installed on your store as a plugin. A free trial is available too. If you happen to use SessionCam, it will most certainly show you that a big percentage of customers leave on a checkout page. Why? Because shoppers don’t want to fill in a long list of form fields asking for unnecessary information. 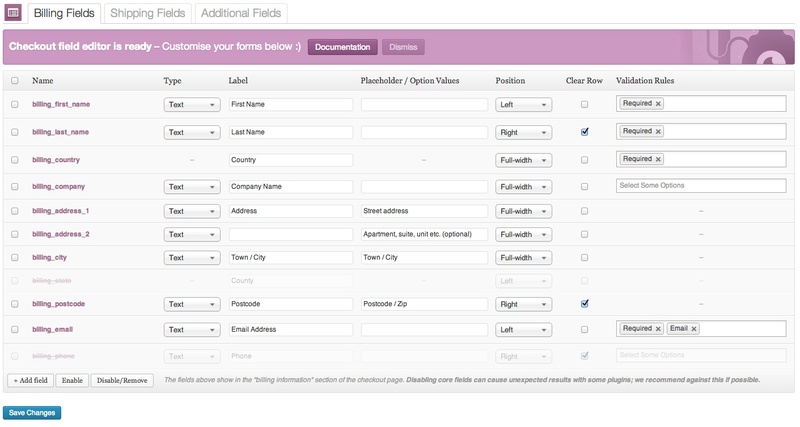 Checkout Field Editor plugin for WooCommerce makes it easy for a merchant to add and remove form fields. For example, you can quickly remove certain fields from the billing, shipping, and “order notes” sections. This will allow to make your checkout page more straightforward and, as a result, reduce the number of confused customers abandoning the store. Single site subscription for Checkout Field Editor will cost you as little as $49 only. 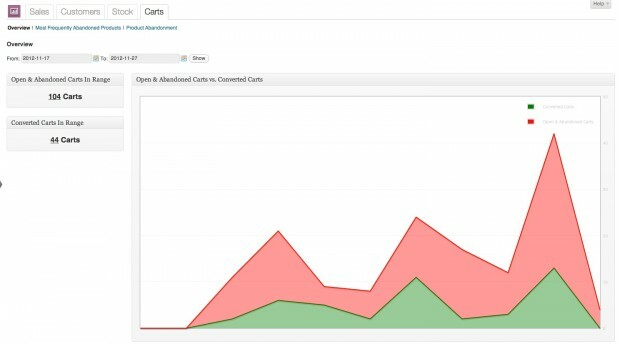 WooCommerce Cart Reports is an easy-to-use extension that provides real-time metrics in your customer’s open, converted and abandoned shopping carts. All the data collected by the extension will be turned into insightful graphs, which allows to keep the track of correlation of closed / abandoned carts easily and conveniently. The data collected by the extension will be instantly accessible from an admin panel in a new “Carts” tab in the WooCommerce “Reports”. There you’ll be able to view the number of converted / abandoned carts over a custom date range, date of a customer being last online, most abandoned products, and product abandonment rate by month. Also, there’s a possibility to email customers with abandoned carts right from the very same window. Single site subscription costs $79, which makes the extension a bit pricey, but still worth its money.